recommended for: Fans of Cinder (duh), Ella Enchanted by Gail Carson Levine, Cruel Beauty by Rosamunde Hodge, and/or genre-bending science-fiction. I was psyched to read the sequel after the awesomeness of Cinder. Scarlet didn't quite match its predecessor, but it's still a worthy addition to a great series. I liked Scarlet herself. She's reckless and foolish in a very endearing way, with enough cleverness and tenacity so you don't want to strangle her constantly. Wolf was more of a sticking point for me. I like his puppydog fierceness, but given he's the obvious love interest, he and Scarlet share more instalove than I'd prefer. Which is very unlike the slowburning affection between Cinder and Kai. That said, the secrets revealed here and the twisty plot alternating between Scarlet/Wolf and Cinder/Thorne is breakneck and breathtaking. Thorne is welcome comic relief (and super smooch-worthy), while Cinder grows even more capable. The stakes are higher, and the ending is jarring--in a good way. 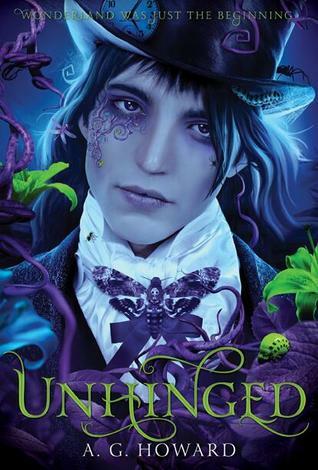 I didn't feel the same giddiness after Scarlet as I had after Cinder, but I'm still clamoring for Cress. This a'int your grandma's Red Riding Hood. In fact, grandma has some pretty crazy secrets, secrets she's kidnapped for. That leaves granddaughter Scarlet hot on the trail of a terrorist group with a semi-trustworthy, gruff street fighter at her side. Plus spaceships. Plus alcoholic fathers. Plus jumping on trains, plague outbreaks, and a lot of sneaky Lunar trickery. If you don't pay attention to the evil anger-making instalove, it's an exciting, tight plot. And that's just one half. On the other half, we have Cinder making her escape from jail with the feckless Captain Thorne, criminal failure and master of oblivious snark. I giggled at the way he and Cinder play off each other. And of course, their crazy escape also creates problems for Kai, under pressure from the Lunars to restore the fugitive. There's really no moment to breathe here, because every second is danger and chaos. And twists that are cringingly expected, in an "I'm cringing because I'm afraid this will happen and then it does and I'm excessively invested" kind of way. When the two threads finally come together, it's hysterical and exciting, and sets up Cress perfectly. So, Scarlet's pretty cool. I don't like her as much as Cinder, but that's more a comment on Cinder's awesomeness than anything bad about Scarlet. 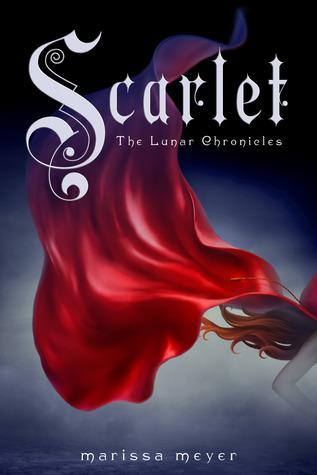 Scarlet is a little rougher than Cinder, more distrustful, less whimsical. She's beautiful and cold and distrustful, but with a sneaking compassion. She's also pretty capable, even when she's sticking her nose where it definitely does not belong. It makes her pairing with Wolf less annoying, because though she lack his fighting prowess and expertise, she's certainly no damsel in distress. You see a similar relationship with Cinder and Thorne. Thorne is actually kind of bumbling for someone who managed once to steal a military spaceship. He has some expertise, but he's also arrogant, brash, vain, and self-serving. He annoys the hell out of Cinder, which is a lovely excuse for witty banter and a sibling rivalry kind of friendship. And Cinder--well, she's just as kickass as she always was, and maybe more. Kai is still adorable. Levana is still hellspawn. I could see Disney making an amazing movie out of this. I. Love. Meyer's. Writing. She's obviously done enough research to sound very comfortable with technological terms, giving her book an air of authenticity that makes it that much better than your average science-fiction for young adults. She's also witty, poignant, and whimsical when she needs to be. Her voice is a modern fairy-teller, a Grimm with some edge. She also has a good sense of her characters, because they all sound appropriately different and unique. I can't say enough how solid her style is. My only complaint is that switching between points of view makes me antsy to get past cliffhangers, but as I'm learning in The Lies We Tell Ourselves, I don't really like chunks either. So I guess this is more of an impatient thing than an actual criticism. Scarlet stays true to the whimsical spirit and techie edge of its predecessor, with a character all its own. I just got this one and I'm about to start reading it. I did really enjoy Cinder and you made me quite excited to read this one. I'm not a big fan of instalove, so I really hope the romance isn't the biggest plotline.